In true chicken fashion I produced plenty of eggs. Egg retrieval went very well and we have 21 eggs. Will get our fertilization report tomorrow. The clinic took great care of us! I had some stubborn follies that gave the doctor a hassle but his experience managed thru the tough membrane. Marks boys had to make two appearances, as they were as stubborn as my follies! Now is time for rest. What better to do on a Sunday than egg retreival!! We are set, trigger taken Friday night at 9 pm, Saturday so far has been with a very heavy belly and a low tolerance for a full bladder. Today we met a wonderful couple from the same area as us who have just begun the surrogacy investigation. We sat for a long while and chatted and laughed. It's so nice to meet people who don't take them selves too serious. In this world stuff happens and all we can do is keep moving forward. We all had a nice cup of coffee and visit and hopefully can do so soon again. Wish us luck for tomorrow! I am sure Marks boys are anxious to be released into the world and my eggs are ready as well. Will know fertilization results probably on Tuesday or Wednesday. Well we have over 20 follicles! Our donated drugs are doing a great job!! We have been keeping the cycle low key as I have had some ovary troubles that may have cancelled it. Thank goodness, all is going well and we are on CD5. If all goes well, we will be in India late December. 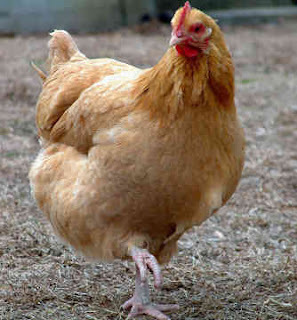 I am fortunate that I am chicken like and produce eggs in plenty. As we left the clinic today, we talked about how difficult it must be to have these scans with four or five follies...it must be so heartbreaking and the desperate optimism must take its toll. To all of you in this situation I really do feel for you. Peeky had his surgery yesterday and the size of the stones was concerning to me. He is only 11 pounds and I think the stone to bladder size ratio was not good. He is recovering well, and a little codeine helps! Twin girls were born today! Congrats!!!! Looks like all is well with the girls and the whole surrogacy community is excited for this news. Joy and Kelly are leaving soon and I was dying to tell Dr M this today but didn't...not my place to spoil the news. Safe travels you two! Long time no post! So much has been going on and time has been flying by! I am looking at EPU before the end of the year and poor evil dog has bladder stones again! Poor Peeky, so many surgeries for his stones. We saw the vet last night and had a few xrays which showed a big cluster of calcium oxalate crystals (stones) smack dab in his bladder. So, next Friday we will have the dreaded surgery. Poor guy, the surgery is not so nice for him. The doc cuts along his dinkie doodle and opens his bladder up to remove the stones. His bladder is put back into his little belly and his dinkie doodle gets stitched back up. Then the fun begins! When he pees after surgery he screams bloody murder...it sounds like I am slicing him up alive. Thankfully Dr T has offered up extra pain meds for him to help him through the recovery period. The other fortunate thing is that we are moving in with Marks parents so they can keep a good eye on him when we return to work on Monday. We move this weekend, sadly. This is not my ideal situation but we needed to do this to allow us to try again with India. Lots happening on the surrogacy front. The amazing couple who hooked us up with a doctor will finally return to India for BABY PICK UP!! We are so thrilled for them and their family! Two couples have been home for just over two months now and all babes are doing well (Nik and Lisa, Rhonda and Gerry). And last week a baby girl was born to Jackie and she looks amazing! All these positives keep us going! Recent announcements of positive pregnancies by Meg and Bob and others on the forum keep the energy positive as well. Our turn will come and we know this. We have one heck of a story leading up to this as most of us do.